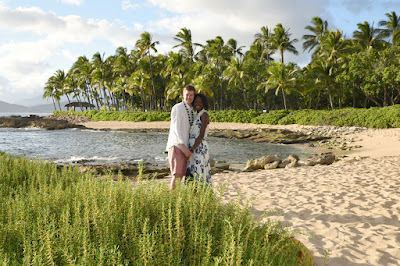 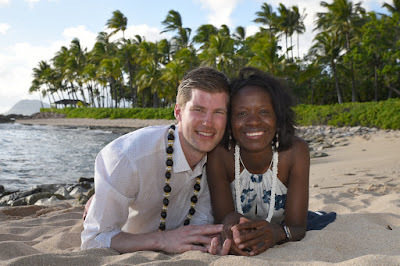 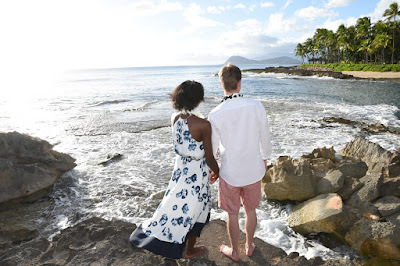 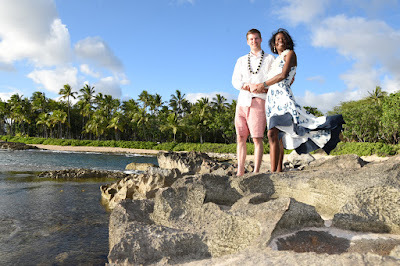 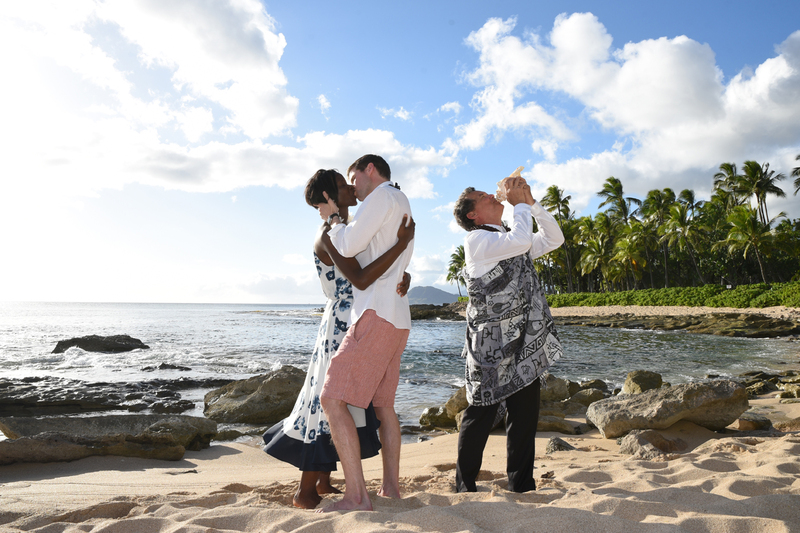 Rev Kimo blows the conch shell as John and Oumou seal the deal with a kiss at Ko Olina "Secret" Beach. 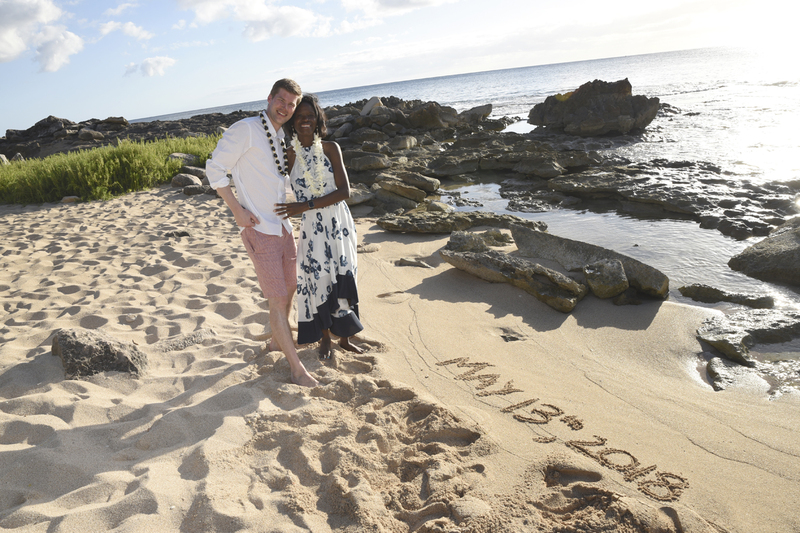 If you're prone to forget, write your wedding date in the sand. Wouldn't want to miss your anniversary next year.